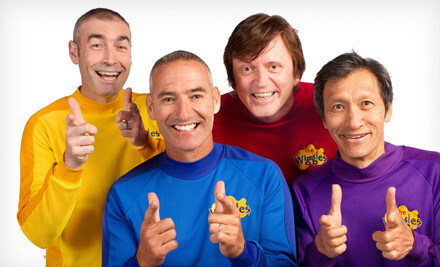 Wiggles Concert – Tower Theater – Up to 51% off Tickets! For $14, you get one G-Pass for the upper- or lower-balcony section (up to a $27.50 value, including fees). For $20, you get one G-Pass for the loge section (up to a $40.50 value, including fees). 11:30 a.m.; doors open at 10:30 a.m.
3 p.m.; doors open at 2 p.m. There are a limit of 8 tickets per person. See site HERE for full details.